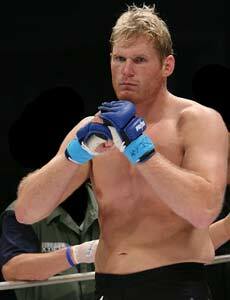 Josh Barnett Back to the UFC? Sherdog.com and MMAJunkie.Com are both reporting that Josh “The Warmaster” Barnett has signed his return to the Ultimate Fighting Championship. Both sources are reporting that a source close to the situation has confirmed but no one from Barnett’s Camp or the UFC has confirmed. Barnett (once known as the Babyfaced Assassin) began his UFC career against Gan McGhee at UFC 28: High Stakes in November of 2000. Before stepping into the Octagon against McGhee, Barnett had secured an arm bar victory over UFC Hall of Famer Dan “The Beast” Severn in the Superbrawl promotion. After defeating McGhee and dropping a loss to Pedro “The Rock” Rizzo, Barnett went on to defeat future K-1 Grand Prix champion Semmy Schilt and beat Randy Couture for the UFC Heavyweight Championship. It’s been storied that Barnett’s title reign was incredibly short lived as he had tested positive for steroids post-fight and was stripped of the crown. After being stripped of the UFC strap, Barnett went to make a huge name for himself in the Land of the Rising Sun: fighting for PRIDE, K-1, Sengoku. While in Japan, Barnett secured wins over the who’s-who of heavyweights fighting in Japan. Some notable wins were a rematch over Semmy Schilt, Mark Hunt, Yuki Kondo, Aleksander Emelianenko, Antonio “Minotauro” Nogueira, Jeff “The Snowman” Monson and a rematch with Pedro Rizzo. Barnett returned to the United States to fight for the Affliction and Strikeforce promotions, defeating Gilbert “The Hurricana” Yvel, Sergei Kharitonov and losing in the finals of the Strikeforce Heavyweight Grand Prix to Daniel Comier. When Strikeforce was purchased and ultimately folded into the UFC, rumors were ablaze over whether or not the bad blood between Barnett (say that 10 times fast!) and the UFC had been forgiven or not. Barnett and the UFC did enter into contract negotiations but neither side seemed to find the terms favorable. Barnett had mentioned to press that he liked the prospect of fighting for the Pancrase organization and that he was completely fine returning to Japan to fight. If Josh Barnett has signed with the UFC, he’s stepping into a division that is reigned over by Junior Dos Santos, Cain Valasquez and Antonio “Big Foot” Silva. Barnett does enjoy the benefit of not being entirely green when he steps in to fight, as he currently holds wins over UFC Heavyweight Contender Mark Hunt. One has to believe that Barnett’s first fight back in the Octagon will be a rematch with Daniel Cormier to avenge the Strikeforce Grand Prix loss, if Comier does not drop to Light Heavyweight first.